Shaw Academy Review  Is Shaw Academy A Scam Or Legit? Shaw Academy Review: Is Shaw Academy A Scam Or A Legit Learning Platform? 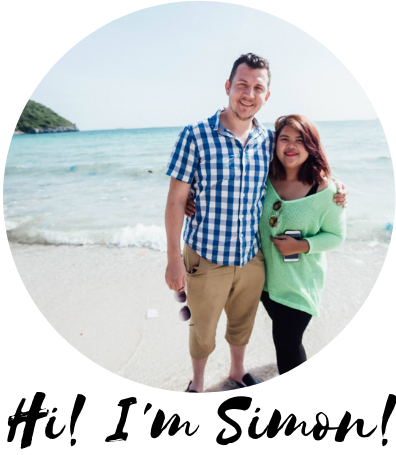 Hi, I’m Simon and welcome to my Shaw Academy review where we’ll be taking a closer look at the training, the platform, the support and the pricing so you can decide whether this online learning platform is worth signing up to or not. I must confess: I’m a serious self-development addict! Whether it’s listening to audiobooks on leadership or attending property conferences, I’m a huge believer in investing the time and effort into educating and improving yourself. And the beauty of the online world is that learning is no longer limited to the classroom. Whatever you want to learn, you can! In your own time and at your own pace, wherever you are. Sure, you can learn a heck of a lot on YouTube, but sometimes you just can’t beat a step-by-step, well-structured training course where you can track your progress and get the sense of accomplishment when you’re done. So what about Shaw Academy? Is it a scam you should stay away from or a legit learning platform that’s worth joining? Here’s what I found out. They offer a variety of comprehensive training modules packed with live classes, videos and tutorials. The whole system is set up to give you a flexible way of learning that fits around your schedule and they give you the option of receiving a diploma certificate on completion. Right now they have around 50 courses on offer but they are adding new courses regularly. They need to make their pricing structure a lot clearer so people are not caught off guard and while their qualifications are not widely recognised, this is a legitimate online platform that can definitely help you reach your learning goals. Who is Shaw Academy For? Is Shaw Academy A Scam or Legit? With the tagline: “Delivering great education, accessibly and affordably, to everyone”, Shaw Academy is an online education platform that was founded in 2013 by Dublin-based James Egan & Adrian Murphy. They also have over 800,000 followers on their Facebook page and boast over 4 million graduates so far. They’re updating their courses so they’re always current and adding new courses all the time. Whether you want to learn how to develop an app, trade on the stock market, improve your Photoshop skills or learn how to play the guitar, you can develop your skills here. Each course comes with live webinars with Q&A sessions, interactive quizzes, video walkthroughs and optional assignments. I really like the training area layout. It’s easy to find your way around and it looks great. The number of modules and lessons will differ from course to course. Either you can work your way through the training at your own pace and develop your skills in your chosen area, or you can pay an additional fee to take the formal assessment. Shaw Academy is accredited by the CPD Certification service which unfortunately is not very well known or recognised. This may be a turn off for some. Support could be better. If you have any issues you’re told to email support@shawacademy.com. Support is available to paying premium members only. I’ll be honest – it’s not easy to get a handle on exactly how much the training costs but after a failed attempt at contacting customer support (I’ll explain below) and a lot of digging around in the fine print, I think I’ve finally got to the bottom of it. On top of that they also have a monthly premium membership which is either $22, $32 or $39 per month. If you’re looking to earn a widely recognised qualification like a Master’s or Bachelor’s degree then this training platform is not for you. Check out these alternatives instead. Shaw Academy is ideal for people looking to acquire or develop their practical skills in a certain area. Perhaps you’ve got to a certain level as a software developer watching random videos on YouTube but now you want to go to the next level. The Shaw Academy training will give you a well-defined, focused and structured learning program to follow. You acquire practical, ‘sellable’ skills and become an expert in your chosen field which can open an infinite number doors for you going forward. The training courses are excellent. Rather than just listening to someone speak or watching them do something, it’s clear the trainers have gone to extra effort to make the lessons as interactive and practical as possible. The modules are broken down into bitesize chunks and you can choose the dates you attend the live classes so it works with your schedule. The free trial period gives you the opportunity to take your first course completely risk-free so you can find your way around the training area and see if it’s a good fit. Rather than displaying their full prices clearly, I had to dig around in the lengthy FAQ’s section to find how much it cost. Even after reading the full terms and conditions I wasn’t sure. As you’ll see here when we look at members’ feedback in a second, nearly all of the complaints are around billing issues – either they claim they were charged for something they were unaware of or didn’t realise they had to cancel their membership before the free trial period to avoid paying the monthly membership. It seems like the billing department could do with a customer service course refresher. Whenever issues arise (especially around billing), you need to be sure you can get help and support when you need it most. Sadly, the second biggest complaint from members is that they are either completely ignored or get a, let’s say ‘less than helpful’ response from support staff. In researching and writing this review I was looking for confirmation of Shaw Academy’s pricing structure. The website recommended I contact the support team if I had any queries… so I did! And it bounced back! All I got was this automated email saying I could only contact support if I upgraded my account! What does this say about their level of support? Shaw Academy have a 4 out 5 star rating on TrustPilot.com out of a total of 1,905 reviews. The vast majority of members are clearly very happy with the online training program with 85% rating the site ‘Excellent’ or ‘Great’. On the flip side, some people accuse Shaw Academy of being a scam because they say their credit cards have been charged the monthly fee without their authorisation. It really can break trust and as we’ve seen, can cause people to call them a scam after being charged unexpectedly. Sure, legally you can say they should’ve read the terms and conditions but we know in reality very few people do. Shaw Academy would help their members and themselves by doing the right thing and displaying their prices clearly and prominently so people know exactly what they’re getting into. Aside from that, the training is very well thought through and put together and they actually offer a great value option for learners looking to develop their skills in a particular area, at their own pace and in their own time. The 7 day free trial gives you the opportunity to browse the courses and test out the whole platform with no money down so you can decide whether or not this is right for you. In my opinion Shaw Academy, though certainly not perfect, is a legit training platform that offers high quality education at great rates. Click here to pick a course and start learning! Udemy.com have over 100,000 video courses on almost any topic you can think of. Seriously. From accounting to game design, from pet grooming to poker – they’ve got it all! Pioneers of online learning, OpenUniversity.edu have a whole range of qualifications, from certificates and diplomas to Honours degrees and postgraduate qualifications. If a formal qualification with flexible learning is what you’re after, this is the one for you. Wealthy Affiliate.com have been helping aspiring entrepreneurs achieve online success since 2006. Their step-by-step video training walks you through exactly how to build an income generating business from scratch. Check out my full Wealthy Affiliate review to find out more. I hope you’ve found this review of Shaw Academy helpful. I’d be really interested to hear from any former or current members on this one. Scroll down and share your experiences with us! I read so many negative reviews but decided to go ahead and sign up anyway, and honestly I’ve been nothing but impressed. There were issues activating my membership but the support team got back to me immediately and were incredibly friendly and helpful, sorting everything out by the end of the day. Im doing the Graphic Design course and the Digital Marketing course and even though im only a few lessons in im very impressed with the depth of the content. Overall very impressed. Thanks for sharing James, as you say there are a lot of negative reviews about the level of support at Shaw Academy but it’s great to hear you have had a great experience with them. It’s good to know if issues come up, you can get help when you need it. I agree with you, though they have around only 50 courses – they are very well thought through. Shaw Academy is ideal for people looking to acquire or develop their practical skills in a certain area.The training courses are excellent. Rather than just listening to someone speak or watching them do something, it’s clear the trainers have gone to extra effort to make the lessons as interactive and practical as possible.The modules are broken down into bitesize chunks and you can choose the dates you attend the live classes so it works with your schedule. I am impressed with how you approached this review of the Shaw Academy platform. You really dug down on the pros of the site with everything from what is on offer to user experiences. This did not keep you from also advising on the cons such as lack of clarity for charges, customer support, and the qualification/certification they have for their training. These are all good points to show potential users of the platform, so they know what they are getting into if they decide to try it out. It sounds to me like they are legitimate if in need of a little attention in regards to their sales and support departments. Lastly, I also like that you included some alternatives to the Shaw Academy that are reasonably priced and within reach of most people who have a limited budget. These days there are many ways to get an education, and spending $150,000 on a bricks and mortar university does not make sense for many. I would say that all the options you have included will work for most people. Knowing what the options are and then doing some due diligence (like reading this review) will raise the chance that you will get what you are looking for when you do invest your hard-earned money in yourself! Thanks so much for such a thoughtful comment Dave. I really appreciate that! And I couldn’t agree with you more about the huge difference in price between digital and skills-based learning platforms like this one vs. the cost of studying at a traditional university. While I totally get that university is necessary for certain career paths, say if you want to be a vet or a nurse for example, the astronomical tuition fees and complete lack of real world application of some degree courses really make me question if it’s worth spending all that time and money at all. I see too many people leaving university with a boat load of student debt hanging over their heads and still unable to get a job because they have no work experience. As you say, with online learning the ‘tuition fees’ are next to nothing compared to the traditional way of learning and as is the case with this training platform, you are learning valuable skills you can then take to the marketplace either working for someone else or for yourself. Thanks again Dave, all the best! Great review. I am a former student at Shaw Academy. I have taken the photography course and it is absolutely brilliant!! Enjoyed the webinars, the content is engaging and informative. l have learned so much and it’s so easy, everything is well explained and I would 100% recommend Shaw Academy to anyone who to improve or upgrade their skills. I also like how convenient the app is as you can use it on the go. Hey Zayn, it’s great to hear your feedback. Thanks for sharing your experience. I’ll be honest, I had no idea there was a Shaw Academy app! I completely missed that! I see the app has a 4.4/5.0 rating on Google Play too, very impressive!